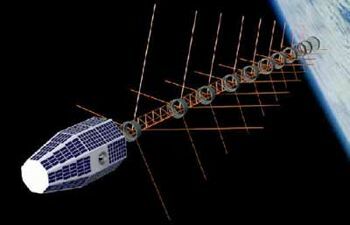 American earth magnetosphere satellite. FORTE - 'Fast On-orbit Recording of Transient Events' - was a US Los Alamos National Laboratory satellite designed to study natural and artificial radio emissions from the ionosphere. Experimental satellite built by Composite Optics Inc. (structure) for USAF STP (Space Test Program), USA. Launched 1997. Status: Operational 1997. First Launch: 1997-08-29. Last Launch: 1997-08-29. Number: 1 . Gross mass: 215 kg (473 lb). This data was needed to develop technology for monitoring nuclear test ban treaties. Family: Earth, Magnetosphere sat, Medium earth orbit, Technology. Country: USA. Launch Vehicles: Pegasus, Pegasus XL. Launch Sites: Point Arguello WADZ. Agency: USAF, Los Alamos. Bibliography: 2, 4, 6503, 12388.